Almost a decade has lapsed since Matt Damon last appeared on screen as Jason Bourne – but today’s first full trailer for Universal’s upcoming actioner irrefutably proves that everyone’s favorite amnesiac is still as sharp as ever. Following up on the teaser trailer from earlier in the week, we get a better sense of the underlying story through this new snippet, and just why Bourne has cropped back up on the CIA’s radar in the first place. There’s also shots of Tommy Lee Jones and so-hot-right-now Alicia Vikander, who will be rubbing shoulders with Damon’s skilled agent as a hardened veteran and cyber-specialist, respectively. Hoping to steer its prized asset back to its roots, the studio has also welcomed back director Paul Greengrass in the hot seat for Jason Bourne, and while Jeremy Renner and screenwriter Tony Gilroy – no stranger to the Bourne franchise – may have attempted to spin out a Legacy four years ago, the bankable duo of Greengrass and Damon has resulted in some truly excellent action movies with respectable box office hauls to boot. Will that continue come July? Also on board for the soft reboot are Julia Stiles, Vincent Cassel, Ato Essandoh, Scott Shepherd and Riz Ahmed in undisclosed roles. We’ve seen Matt Damon’s agent battle through a lost Identity, uncovered a corrupted Supremacy and teed up an Ultimatum with Operation Treadstone. 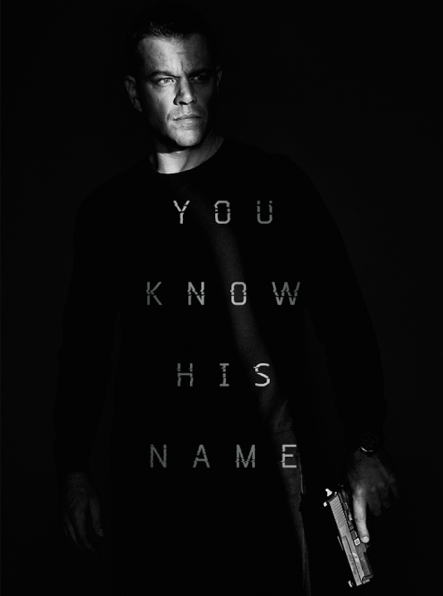 In 2016 though, Jason Bourne will be facing his toughest task yet, and we’ll be able to see that globe-trotting mission play out in full come July 29.